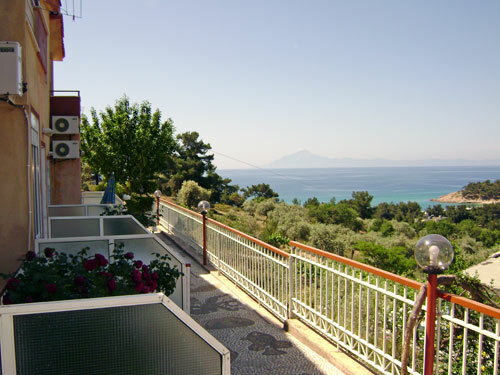 One of the best resorts on Thassos, nested on a hillside designed with the colors of the ground, Sunset Apartments welcomes you just 2.5 Km. from the village of Limenaria in the area of Tripiti. A unique combination of natural beauty and discreet luxury offers every guest the perfect location for exceptional Summer holidays. The lovely atmosphere and the serenity are spread all over the resort which has been restored to perfection, using local materials and resources. 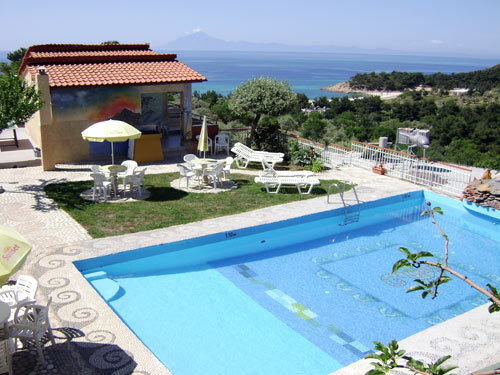 The resort aims to satisfy the needs of its guests in terms of service and pleasant atmosphere. Built on a hillside with a breath-taking view of the sea and the sunset. Constructed using colors of the Earth and mosaics all over the area. 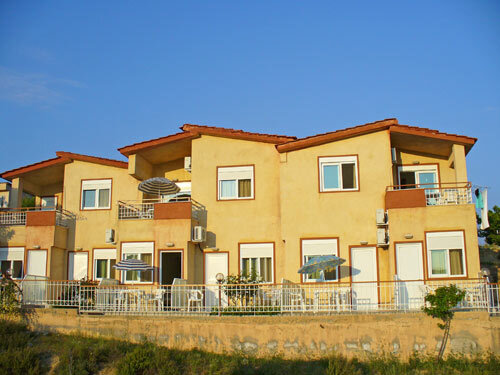 Sunset Apartments sits harmoniously in the island's beautiful natural environment. The comfort and the facilities provided by the hotel, ensure a pleasant stay where the guests can relax in a peaceful atmosphere.